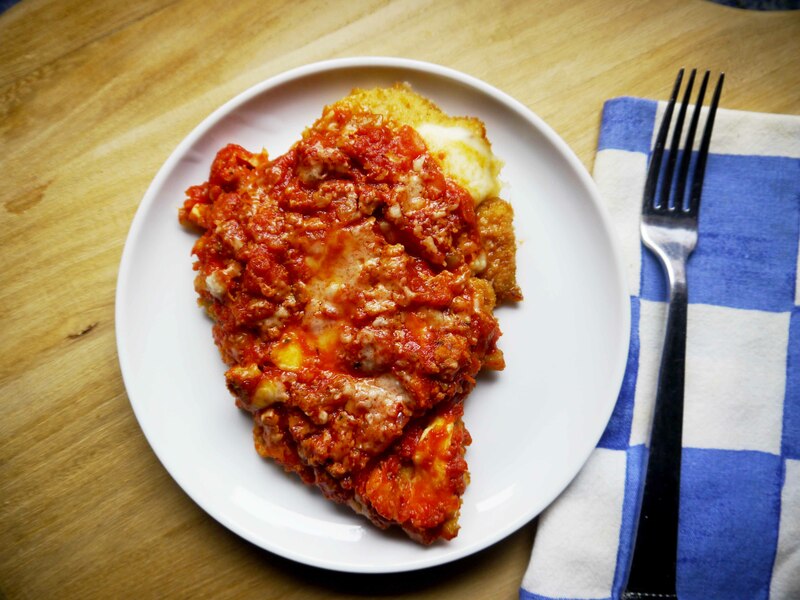 This is one of my most requested recipes. 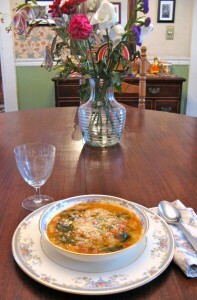 Also known as “Tuscan Bean Soup,” it is a real crowd pleaser. I’ve tripled this recipe and fed nearly 50 people with it at our annual Christmas open house party. 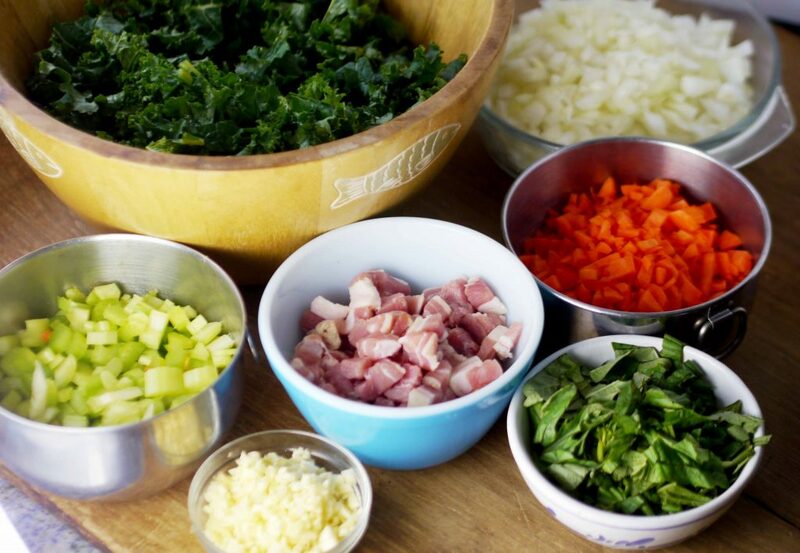 There’s a lot of chopping required to make this soup. 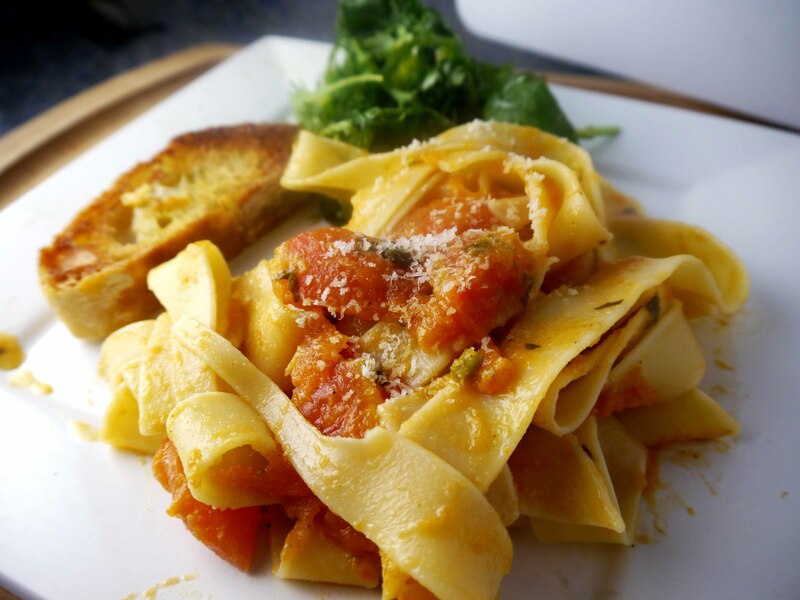 Using a food processor makes it easier and quicker. 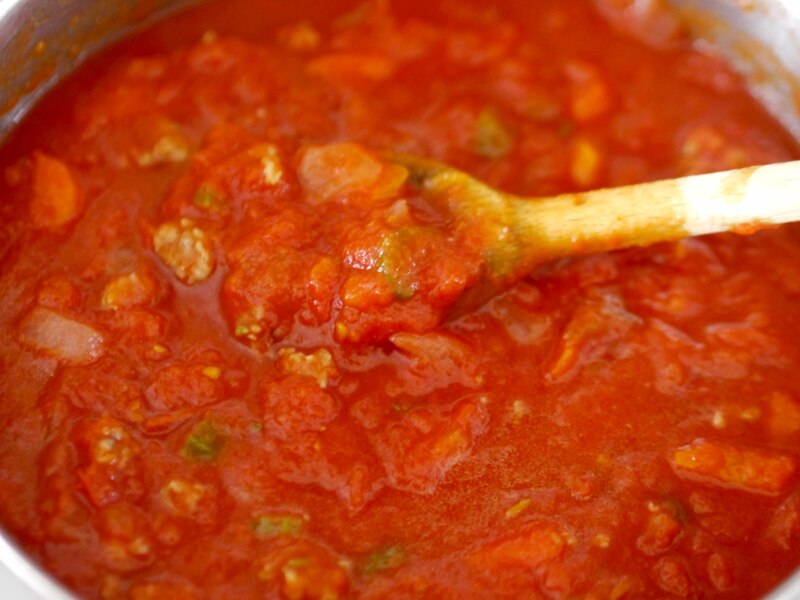 It’s an Italian vegetable soup, with a jolt of meat. I got this recipe from the Barefoot Contessa, but incorporated a few short cuts so you can make this in about 1 1/2 hours. 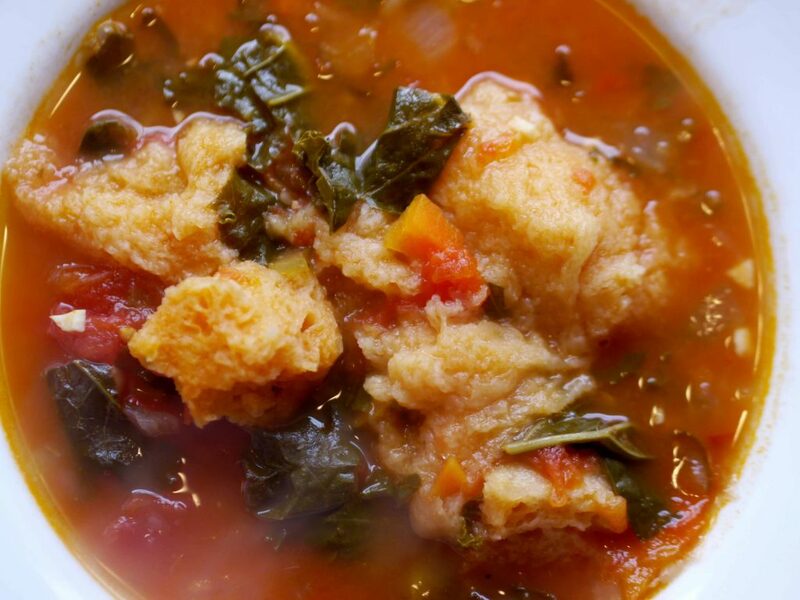 There are other ribollita soup recipes out there, but trust me, this is the best. I’ve been told this by other Italians. Don’t try to make this soup without pancetta. It’s what gives this soup a deep, smoky, flavor. 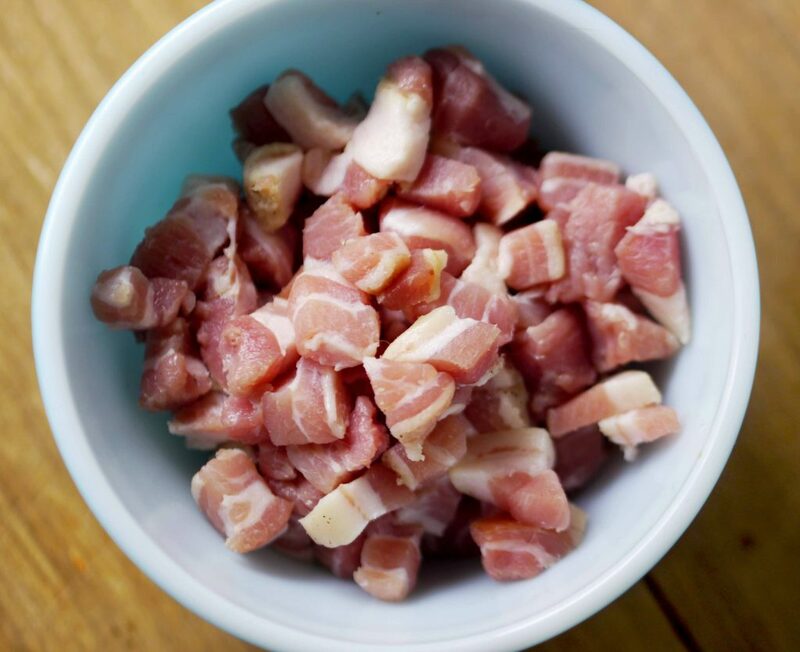 If you’re not familiar with pancetta, think of it as Italian bacon. You can find it in the deli section at most supermarkets and it comes either as a whole piece, sliced, or cubed. I bought mine as a whole piece and then chopped it up into small cubes. 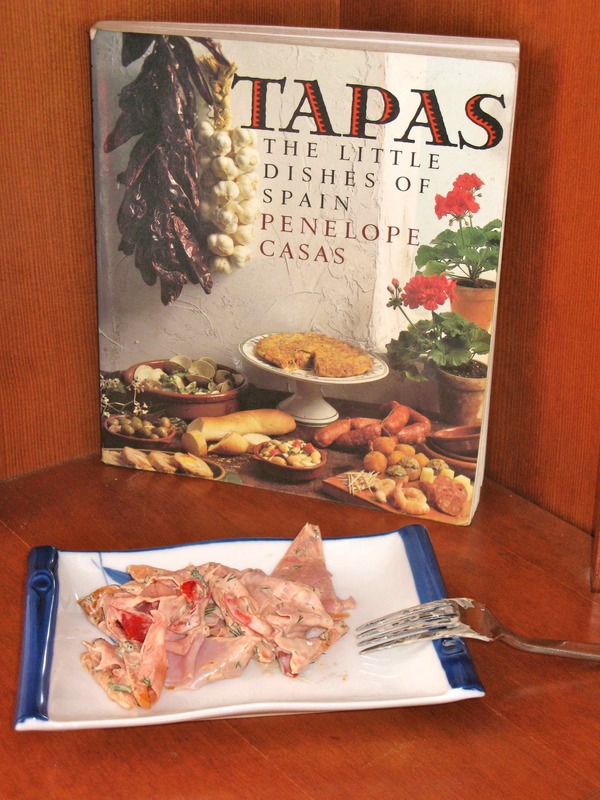 It is made from pork and then cured, but it needs to be cooked before you can eat it. 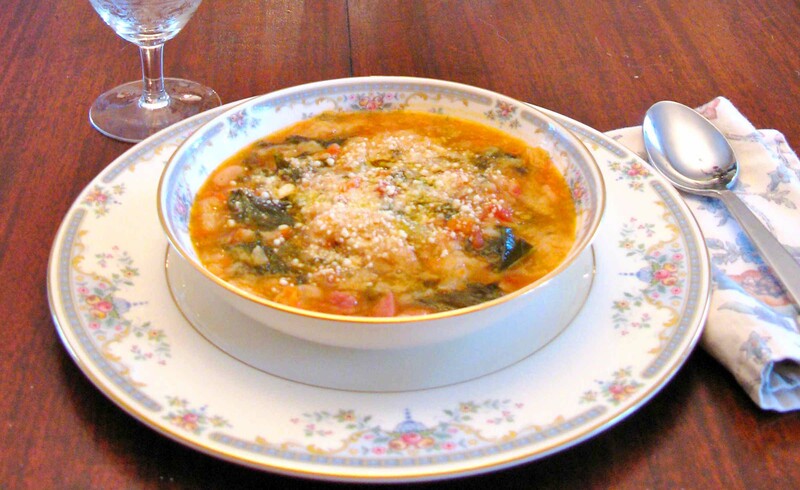 Colorful, hearty, delicious and nutritious describes Ribollita soup. Make sure you use sourdough bread too. It’s an essential ingredient. The taste is sweet and a little sour with a punch of heat from the crushed red pepper flakes. It’s a great, hearty soup on a cold winter night. Step 1 Heat the olive oil in a large stockpot. Step 5 Rinse the cannellini beans under cold water. Puree half of them in a food processor with about 1/2 cup of water. Step 6 Add pureed beans to the soup. And then add the remaining half of the whole beans. And stir. Step 7 Add the eight cups of chicken stock. Step 8 Bring soup to a boil and then reduce heat and simmer over low heat for 20 minutes. Step 9 Add the bread cubes to the soup and simmer another 10 minutes. Step 10 Serve hot in large bowls. 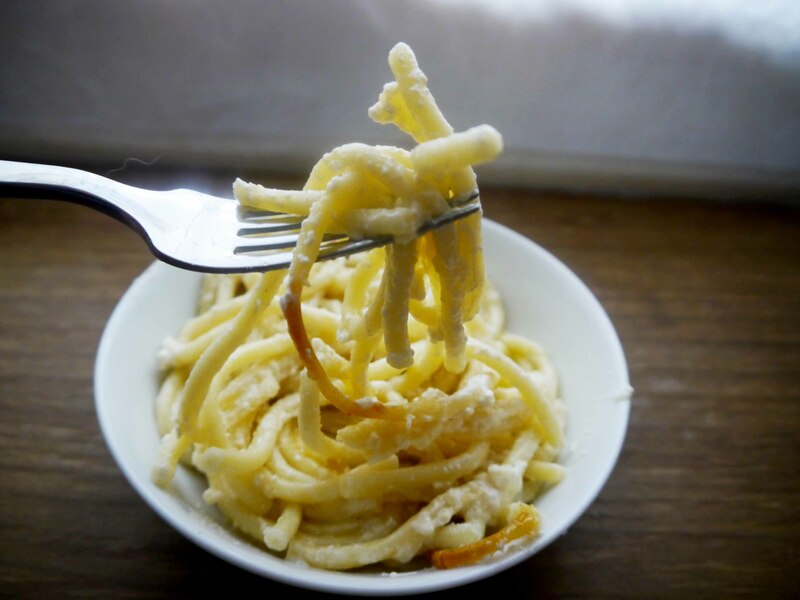 Sprinkle a little freshly grated parmesan cheese on top. And then drizzle a little olive oil over it.